The technology used in citizen-to-authority emergency calls is based on traditional telephony, that is, circuit-switched systems. However, new standards and protocols are being developed by the Internet Engineering Task Force (IETF) to allow emergency communications over packet switched networks, such as the Internet. This architecture is known as Next Generation-9-1-1 (NG-911). In this paper, the authors present lessons learned from experiments on the IETF standard called Location to Service Translation protocol (LoST). LoST maps the user’s location to the address of the emergency call center that serves that location. After implementing the standards in a test-bed with real-world systems, spatial databases, and communication networks, the authors observed performance issues that users may experience. 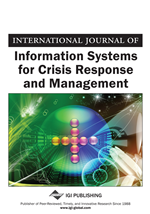 Based on their observations, the authors propose practical ideas to improve the performance of the NG-911 system and LoST protocol operation for mobile users. Every minute, tens of thousands of emergency calls are placed in the United States. Thousands more are probably being made in other countries. Within each country or region, there is usually a common number to reach emergency services (e.g., 9-1-1, 1-1-2, etc). In order to better explain the context of this paper, next we provide a brief history of emergency calls, followed by a description of this paper’s motivation.